Cloudy no more: HR Technology is redefining human resource management for the cloud commerce industry. The Harvard Business Review conducted a survey in 2015. They asked companies from several industry segments questions about their perception of the impact cloud has had on business in general. A whopping 50% of respondents said that the cloud has increased their ability to innovate. And 64% said that the cloud has made them more agile. Fast forward to 2018 and the cloud business is shining bright. Sales are projected to grow by 24% every year and the juggernaut that is the SaaS-PaaS-IaaS trifecta is sitting pretty at a 180 billion dollars of cumulative market value. Why the cloud lecture you ask? Because cloud computing in its various forms and avatars has revolutionized logistics of doing business. It has opened up myriad opportunities for the smallest, most diverse teams. In fact, the proliferation of the cloud is without doubt one of the most positive developments of the 21st century! Thus it’s rather surprising to note that despite the power they possess to make the lives of their customers easier, small organizations in the cloud service commerce industry struggle to stay afloat. The competition is cut throat. And companies expanding at a “modest” rate of 20% annually are 92% likely to go bust in the coming few years. percent chance of ceasing to exist within a few years. The answer to the riddle lies in two places. Just visit the Home page of a few cloud vendors. And then navigate to their About pages. A glaring lack of brand differentiation. And an equally conspicuous omission of HR personnel from their roster of star employees. Yes, even the lacklustre branding can be traced back, in part, to the general attitude of callousness and desultory attention which envelope HR in any small cloud service commerce company. Let’s explore what passes for Human Resource management in these quarters. 1. The person who hires is the last to know. Generally teams are remote and siloed. When in-house talent no longer suffices, vacancies are born. This process is organic but it leaves the people who actually interact with recruits and bring them onboard in the dark. A poorly written job description which often has no relation to the actual accountabilities of the role being hired is HR’s cue to start looking. They never get the benefit of context around what led to the decision to hire. This is why the candidate who is chosen is not the best culture and skill fit and goes through solely on the basis of low pay expectations! 2. Culture is neither breakfast, nor lunch. Culture is supposed to eat strategy for breakfast. At least that’s what the experts say. But most small organizations in the demanding cloud commerce space worship numbers and metrics. Leads, MQLs, SQLs, MRR — the arcane world of acronyms takes precedence. These are albeit tools to further the understanding of how healthy a business is. But without the foundation of culture and true vision, they are mere data bits that can never translate into something more meaningful. The biggest victim of the absence of culture is company branding. In the age of constant social media interactions, if employees do not live by a defined set of values which they bring to every task they do, taglines ring empty and prospects — both B2B and B2C — look for authenticity elsewhere. Brand value propositions may be written by marketers but they are brought to life by teams tightly knit together by the glue of culture. 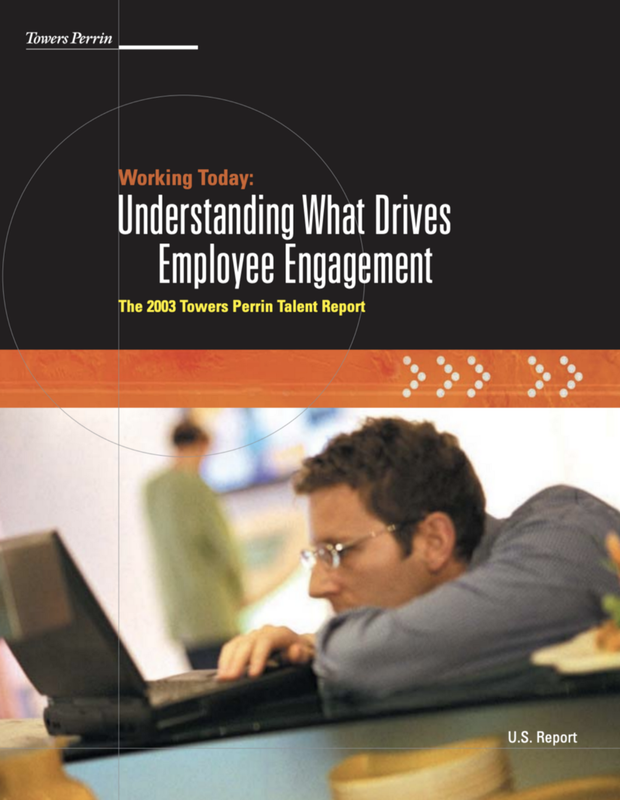 Ranking a close second is employee engagement. Studies show that the right culture of trust and reliance is extremely important to coaxing stellar employee performance. 3. Onboarding is rarely on-point. Candidate onboarding consists of dispirited and sporadic chats with existing team members and demo sit-ins. Since the HR department doesn’t really understand exactly what is perceived as great performance and what counts as not contributing well, this clarity isn’t passed on to recruits either. They stumble around the organization, often not even knowing who to connect to in order to meet their work needs. Some manage to prove themselves — on accident. While others leave within months, triggering the cycle of hiring in the dark yet again. Do cloud vendors and companies in the cloud service commerce industry take a haphazard and intentionally obtuse approach to Human Resource management? It’s just that the focus is squarely on more “relevant” areas like back-end development, marketing and of course — sales. HR is the concession made in the name of talent retention. And in some cases, human resource professionals are completely missing from the group of happy people on the About pages who coax prospects to “give the free trial a spin”. It is ironic. But HR technology can help human resource grow out of the shadow of the cloud. Let’s explain what we mean. Cloud vendors and SaaS service providers live and breathe technology. They do value talent but somewhere along the line, the tech concerns of the solution they sell start hogging the limelight and are viewed as the barometer for the success of the company. There is neither the time nor the inclination to dig deep into HR discrepancies and do better. Thankfully though modern-day human resource tools and solutions make improving easier. They automate tedious tasks, help take quick, intelligent decisions and even signal problems like disengagement, before they blow up into vacancies. Think of HR technology as the analytics for team performance. And suddenly the investment makes a lot of sense. Performance Evaluation solutions are intuitive and easy to use. They go far beyond documenting projects completed and tasks checked off. Most integrate 360-degree feedback from peers and managers to provide a holistic view of an employee’s performance and engagement. Thanks to modules and practices like the Stay Interview, the HR department can pick up dissatisfaction or a skill inadequacy and address it in time. If there is eventually the need to hire new candidates, the recruitment process benefits from historical data, specifically desirable traits in the individuals who can best fill the vacant position. Applicant Tracking solutions (ATS) further facilitate the hiring of skilled individuals. They compile, organize and render searchable the cover letters and qualifications of hundreds of candidates, completely eliminating manual labour and errors from the process. The time saved is better spent thoroughly interviewing and assessing applicants from a number of potential channels, instead of relying by default on marketplaces like Upwork and Freelancer for talent needs. Employee Engagement solutions can’t define “culture” for cloud commerce businesses. But they can definitely support the process of bringing the team closer and getting employees on the same page. Mood gauging through fun surveys, gamifying achievements on leader boards, simple reminders of perks or even something as quirky as auto approval of vacation days through a Slack bot help workers feel more valued, supported, connected to each other and loyal to the company. Onboarding solutions are the last, but certainly not the least. They range from completely customizable workflows that constantly monitor employee engagement, task completion rate and contribution in the first 90 days to simple step-by-step onboarding buddies like CakeHR. Cloud companies pressed for time don’t have to saddle unwilling employees with onboarding responsibilities and can instead offer a better orientation to new talent. For cloud service commerce companies, technology is indeed a double-edged sword. If on one hand it dilutes the importance of the human aspect of running a business, on the other it can redefine HR making it simple for SMBs to experience better culture and connection in the workforce.